Auch wenn mein Song-Durchschnitt nahe an der Grenze zwischen 4 und 5 liegt, ist die Gesamtnote für mich eine klare 4. 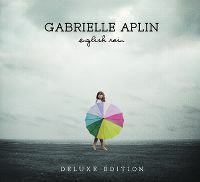 So bietet die junge Gabrielle Alpin auf ihrem Debüt einige schöne Songs, doch die meisten kommen über ein positives "nett" nicht heraus. Nach dem Anhören von "English Rain" habe ich stets das Gefühl, ein durchaus solides Album gehört zu haben, aber keines, das langfristig einen Platz in der Nähe meines CD-Players innehaben wird. Erst nach wiederholtem Hören setzt sich der eine oder andere Song im Ohr fest, zudem klingen einige Lieder zu ähnlich. Eine Nummer, bei dem ich todsicheres globales Hitpotential attestieren könnte, ist nicht darunter, aber zumindest im Vereinigten Königreich ist sie ja bereits sehr erfolgreich. Mal sehen, ob sie sich auch im deutschsprachigen Raum etablieren kann. Fazit: Ein schönes, liebliches Album für den Moment. To be honest when I first listened to the snippets of this album on iTunes I thought it would be a snoozefest. It advertised on my iTunes for $7.80 (because I'd already brought "The Power of Love") so I thought why not and brought it. This album is actually really good. 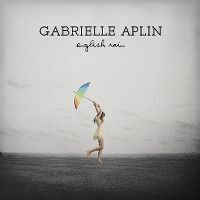 It is filled with mainly ballads and folky types songs but it works really well and Gabrielle's voice is very soothing. Some of her songs sound like something Lisa Mitchell would have brought out in her Wonder era. I can't really see any other of the songs on the album breaking the Australian market but it would be cool to be proved wrong. I wish I had brought this back in May last year. Best Tracks: "Home", "Salvation", "The Power of Love" and "November". Gabrielle really does have a huge future in the music industry if this is what her debut offering supports. Such beauty in her sometimes effortless vocal range and flawless piano skills are melting but there are moments that are questionable and a bit of a head scratcher. If it wasn't for 'Ressurection' I don't think we would know miss Aplin so we have something to thank the media for there. Beanster's completely right the media should be thanked for introducing her to the Australian masses. She also toured with Ed Sheeran in Australia also prior to her breaking here. I am in love with her voice and I hope this is not her only success here. Highlights are 'The Power of Love', 'Panic Cord' and 'Please Don't Say You Love Me'.